Let me ask you a question – would you go to any dentist in any town for your routine check-up? Are you happy to go to any hairdresser who has an appointment? The answer will be no! – we do business with those we like, know and trust! As customers we want to know if we can ‘like, know and trust’ the companies we buy from, so in this series we ask the person behind some of my favourite natural and organic companies to step out into the spotlight. The brand was born in 2013. Everything about Pure & Light Organic Skincare begins and ends with the personal touch of myself the Founder, and the story of our brand mirrors my philosophy on life. 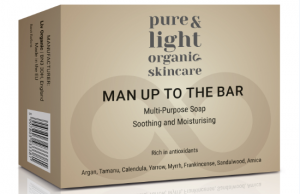 Pure & Light Organic Skincare upholds my high principles of integrity, transparency and fairness. This is apparent in the company’s pricing policies, where I ensure that our customers are given full value in the extensive quantity and quality of our ingredients and superior “freshness packaging”. I have an underlying passion to bring beauty and harmony to the world, one customer at a time. • We carefully select only premium quality ingredients at peak potency. • We purchase and manufacture in small batches to minimize storage times at every step. • Our products are created and produced at a top-level independent laboratory and production facility, using stringent quality control procedures, and under the watchful eye of our Founder. • We package primarily using the latest airless pump technology – even for our creams – to ensure freshness, potency, and purity throughout the lifespan of the product. • We never compromise on the quality, quantity or freshness of our super-natural and high-potency ingredients, or the size/volume of our products. • A recent market study of natural skincare products showed conclusively that Pure&Light Organic Skincare provides incredibly more value for your money, based on volume and selection of ingredients. All at once I got disillusioned with the business life I was involved in, I moved country and my skin started to become over sensitive to chemicals. It was plainly a time to change. 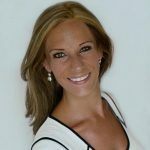 I wanted to change my career too and I wanted to bring service to people. Guided by synchronicities, I chose to learn Aromatherapy. This led me to learn about Herbal Medicine and Natural Medical Sciences. I became a qualified Naturopath, Medical Herbalist and Aromatherapist. I started to work as an Aromatherapist and made my own and family’s cosmetics. When my son got to Kindergarten, I started treating mums in the school and started offering personalised skin care for them. In time, with practice I learned how to formulate skin care products which actually accommodate all skin types. A kind of natural all-in-one. The range is a result of 15 years of practice and learning from feedback. I also learned but did not qualify how to integrate Homeopathy with my previous knowledge about skincare. And then, I took a leap of faith, and got the range out to the big wild world. Originally qualified as a Physiotherapist. Then moved to business, and finished my business career as an MD and have my post graduate Master of Business Administration degree from Oxford Brookes University. Why natural / organic / sustainable? For me, there is no other alternative. We eat organic, we only use organic. It is a life-style for me and my family. Combining Aromatherapy, Herbal Medicine and Homeopathy which make these complex formulations have the ability to sense and intelligently adapt to the skin condition and its ever changing requirements. See below. We do not have skin types. All products are for all skin types and conditions. A natural all-in-one. 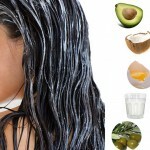 We use high amount of certified organic active ingredients. In fact, this way we give 6-7 times more value to our customers in terms of price/ml in comparison to other natural skin care companies. We only do small batches to assure freshness. Our complex formulations have the ability to sense and intelligently adapt to your unique skin condition and its ever-changing requirements! Conventional practice calls for a different product for every different skin type, condition, and age. The result is a plethora of individual products attempting to address every possible skin condition imaginable. This fails to take into account the fact that no one actually has one skin type, and everyone’s skin is in a constant state of flux. 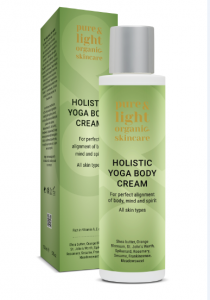 At Pure & Light Organic Skincare we have a profound respect for the intelligence of the body and its largest organ, the skin. We recognize that it is a living, breathing, complex organism that is continually changing. So we create products that are made from the same kind of complex organisms that intelligently adapt to your skin – whether it’s hyper-sensitive, dry, dull, dehydrated, mature, oily, blemished or eczema-prone! In other words, every single product in our range works beautifully on all types of skin! 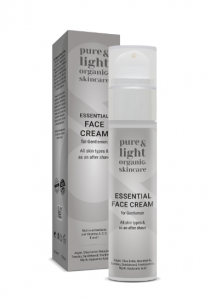 This moisturiser is a must-have in your daily essentials. It does not only smell amazing but surprisingly cleared my acne- which I was unable to get rid of even with medicated creams. It also lasts ages. Definitely worth the price! It really did wonders for my skin as I have quite dry and acne prone skin. I struggle with sleep deprivation and insomnia so I have dark circles under the eyes. This cream has dramatically helped and the skin on my face feels lighter and fresher – my husband actually noticed, asking if I had done anything different. I am obsessed. First I couldn’t wait to use the product because the blend of ingredients was to die for. Then I tried it. While it says it’s a cream, it’s really more of an emulsion of the unique oil blends that that use, each of which adds a little something to make it a very effective, healing, nourishing, and gentle moisturiser. Smells amazing, feels amazing – goes on so smoothly, and leaves skin feeling smooth and refreshed. Could not recommend more. Definitely a light face cream which did not feel heavy to wear under makeup and you benefited from the results of its super organic contents. We are now focusing on increasing our sales, getting into retail and making good contacts with buyers at prestigious chains. That I fulfil my destiny of bringing my fullest knowledge and passion to the world in order to serve and give my best to the greatest good of the whole. People are happy, healthy and live in harmony with themselves, each other and nature. The products we offer are the part of this life style and are easily available for all who would like to have them. To bring balance, harmony and peace everywhere I and my creations go and touch. That the name of the brand is carrying the integrity, love and passion I put into it every single day.